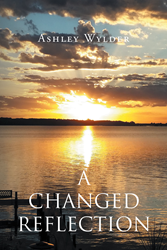 Recent release “A Changed Reflection” from Page Publishing author Ashley Wylder is both telling and passionate; this work depicts the harsh realities of one’s past and the ability to forgive, not forget. Ashley Wylder, a devoted writer and author, has completed her new book “A Changed Reflection”: a gripping and potent story of inspiration and acceptance. This work delves into the idea of self-identity, recovery, forgiveness and acceptance. Tess Carrington had been struggling with her past for years. Her future was uncertain. Could a summer by the lake help her find answers she so desperately needed? From the time she was a little girl, Tess Carrington was keenly aware of her senses. She was driven by one of them. The taste of hot spicy tea on a cool fall night warmed her soul when she felt utterly empty. She adored the way the moon’s reflection created a river of a thousand diamonds sparking on the lake. The sound of the water lapping up against the rocks could always lure her into a sense of peace. The smell of fresh cut alfalfa would immediately take her back in time to a happier place. But when Tess experienced intimate touch for the first time, she knew she would never be able to live without it again, no matter what the consequences were. Published by New York City-based Page Publishing, Ashley Wylder’s honest work portrays the beauty of life and self-worth. Readers who wish to experience this inspiring work can purchase “A Changed Reflection” at bookstores everywhere, or online at the Apple iTunes store, Amazon, Kobo, Google Play or Barnes and Noble.